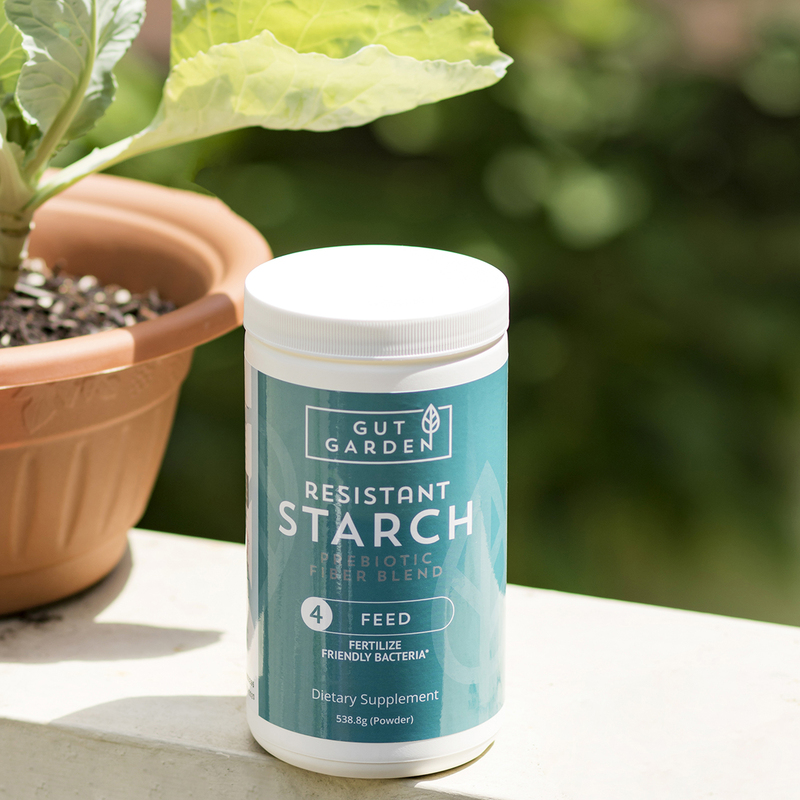 Gut Garden's is the only resistant starch product on the market with 4 soluble fiber types. 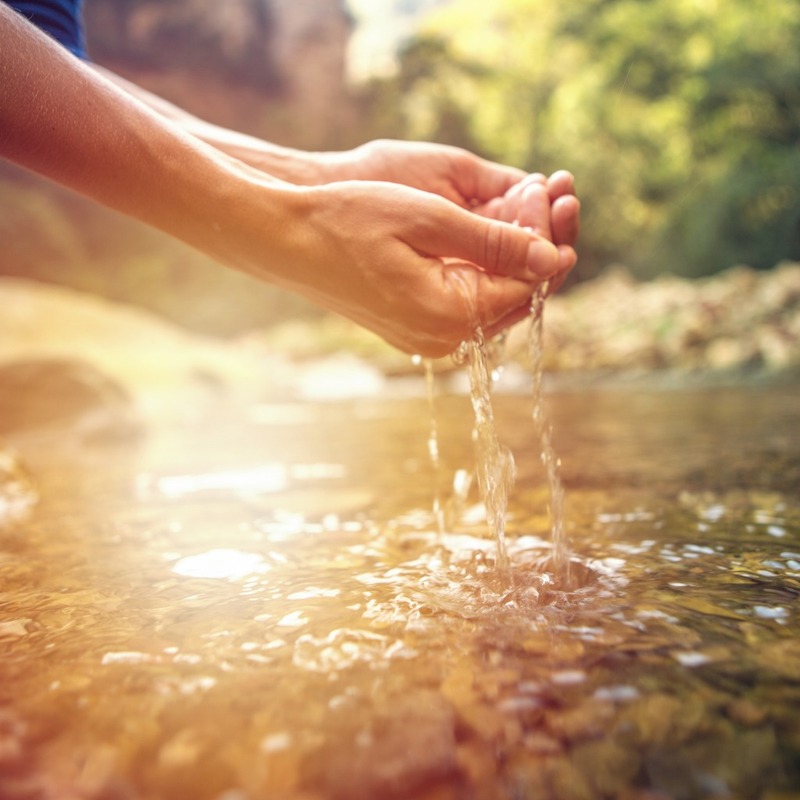 Resistant starch has been shown to work best when paired with a diverse array of other soluble fibers. Resistant Starch - contains 12 grams of unmodified potato starch - one of the highest concentrations of resistant starch of any food-based source. Contains 13 grams of fiber. 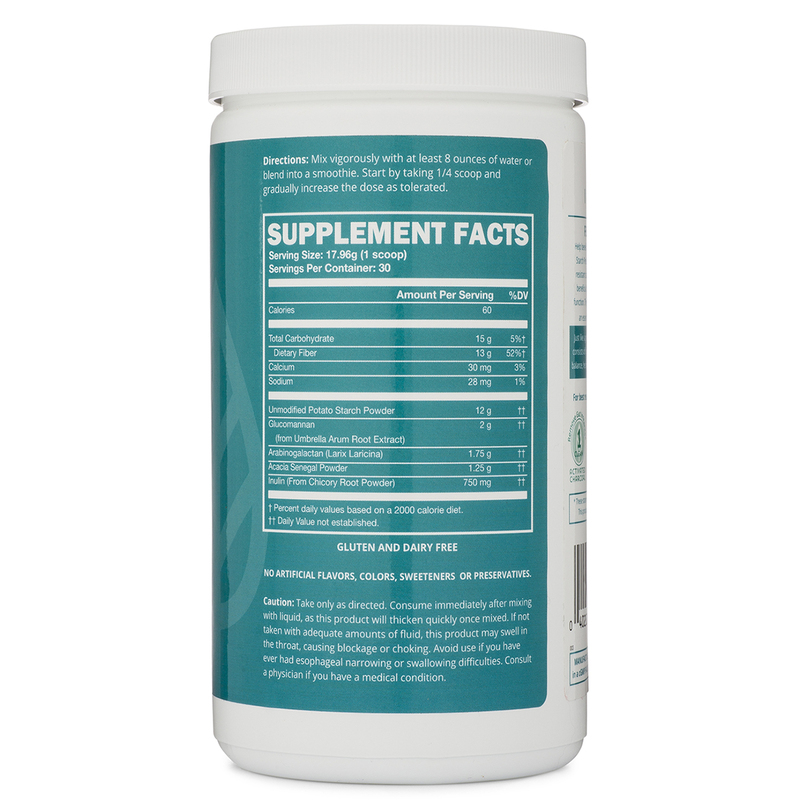 Includes 12 grams of unmodified potato starch and 4 soluble fibers to support bacterial diversity - Glucomannan, Acacia Senegal, Chicory Root Inulin and Larch Arabinogalactan. All-natural, Non-GMO, dairy, soy and gluten free, unflavored, unsweetened with no colors or preservatives.